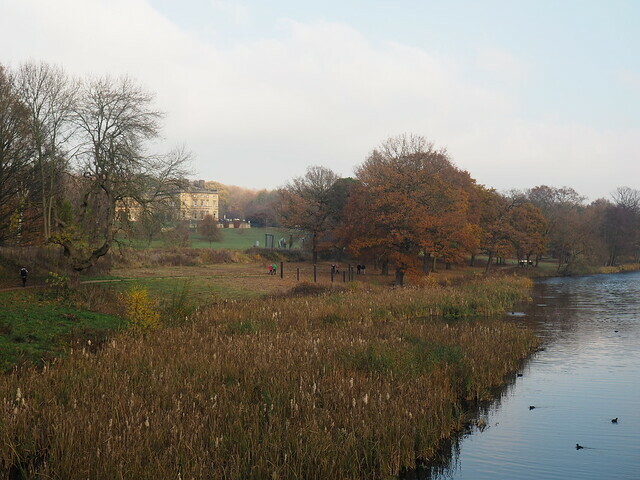 A few photos taken during our visit to the Yorkshire Sculpture Park last Saturday. 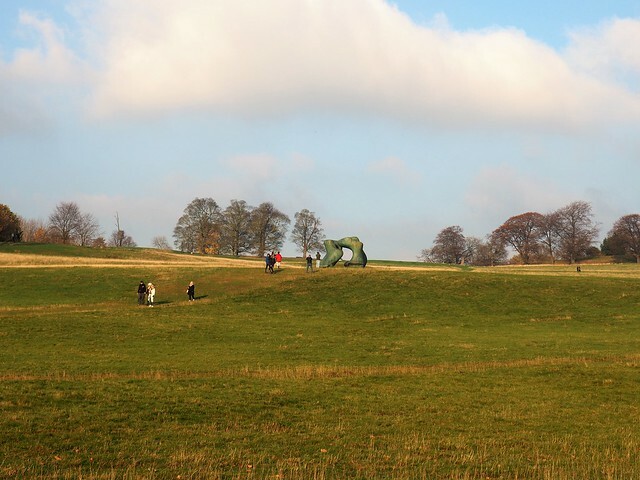 Last Saturday we drove over to the Yorkshire Sculpture Park. 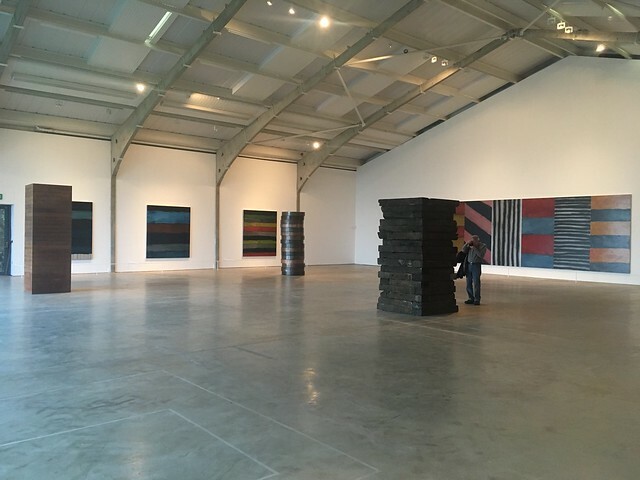 It was our third visit this year but we wanted to see the Sean Scully exhibition that had recently opened in the Longside Gallery, with some additional works outdoors. We’d seen them starting to install one of the latter during our visit during the summer. 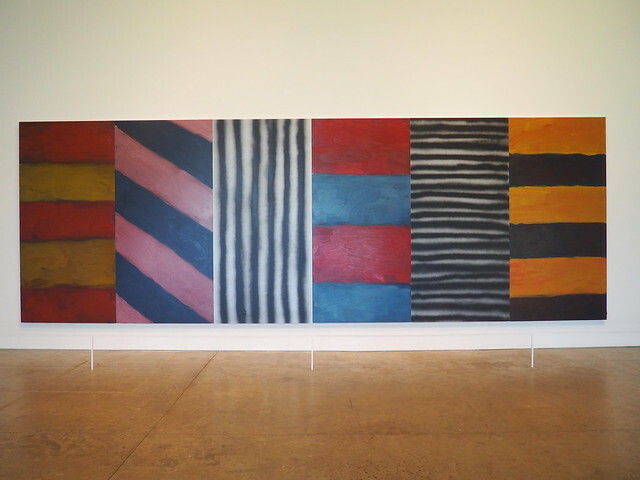 Sean Scully was born in Dublin, grew up in London and currently lives in the USA and Ireland. 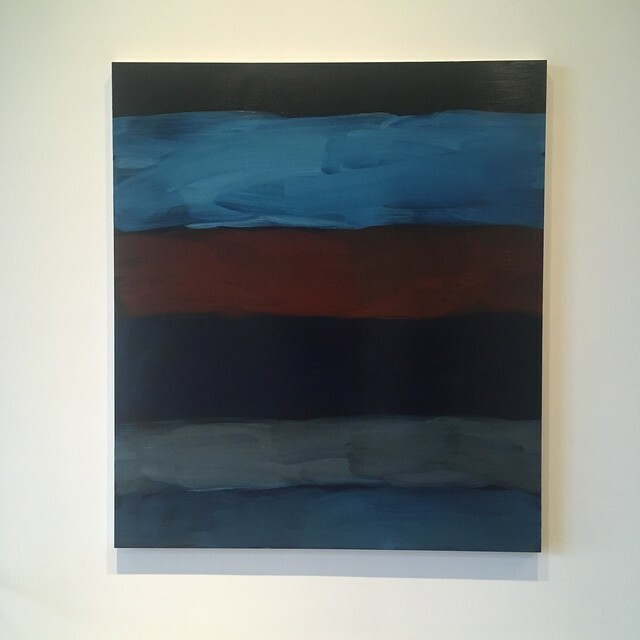 He’s best known for his abstract paintings made up of coloured stripes, rectangles and squares and we’ve seen many of his works in various galleries we’ve visited. I wasn’t aware that he also produced sculptures, so I was particularly interested to see the examples included in the YSP exhibition. 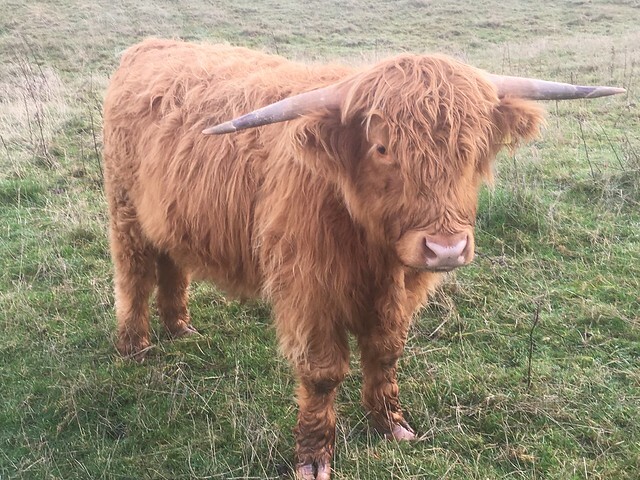 We arrived around 11 and after a brew and a cake set off over the park heading over to the Longside Gallery, which is at the far end of the park, about a mile or so walk from the main Visitor centre and car park. There were four of his large sculptures outdoors in the park and we encountered the first of these just before we reached the lake. 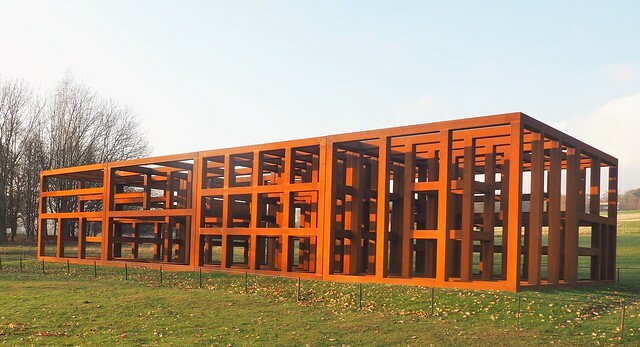 Crate of Air (2018) is a large construction made of Corten steel. Unprotected from the elements it’s surface covered with red iron oxide, it’s appearance will change over time as the metal is affected by the elements and also by the light conditions, the red colour particularly standing out in the sunshine. It looks rather like an unfinished industrial structure, the sort of think that I often see during visits to some of my clients. 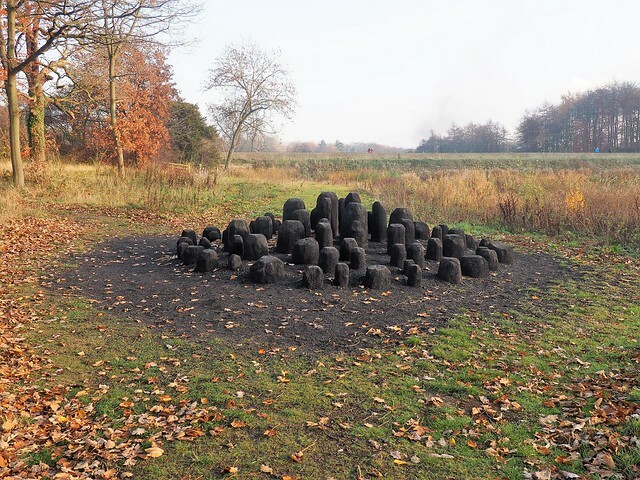 and then walked the woods along the top of the hill, past several works of art by artists including Andy Goldsworthy. 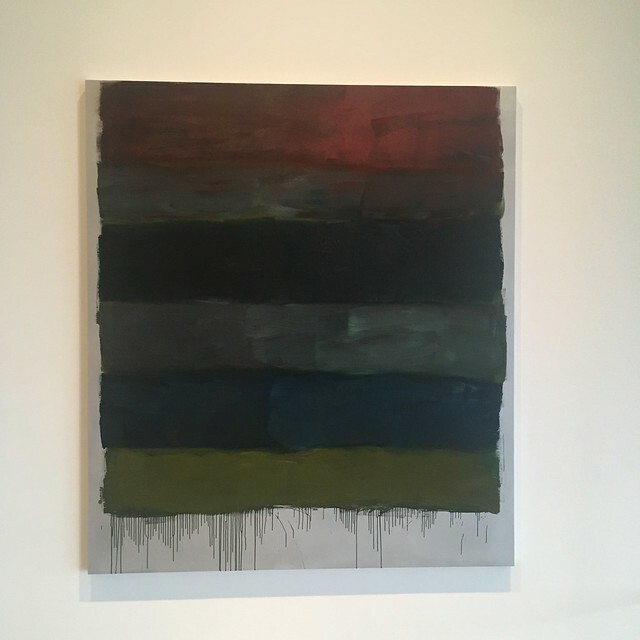 We entered the gallery where there were four more sculptures together with a large selection of paintings, works on paper and photographs. Their stacked format retains the simplicity of Scully’s reduced visual language. 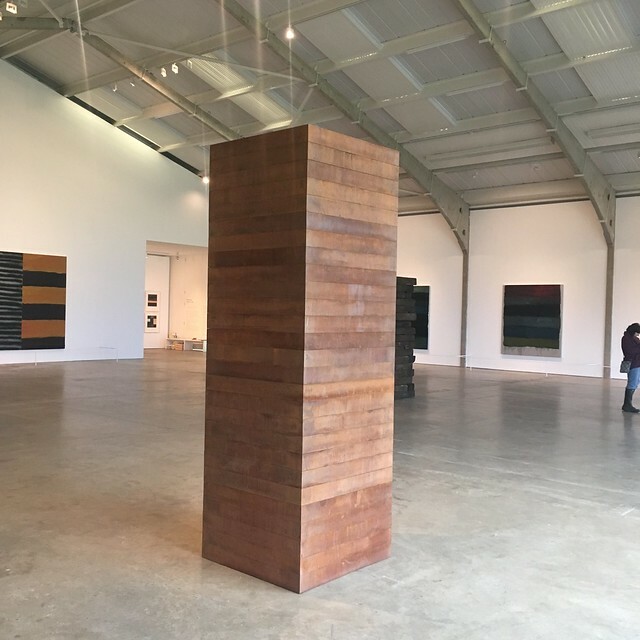 He describes a job he did as a student, stacking flattened cardboard boxes from a supermarket into a lorry – hard, filthy work, with protruding staples lacerating his skin – but aware all the time of creating teetering sculptural forms that gradually filled the vehicle’s void with mass. 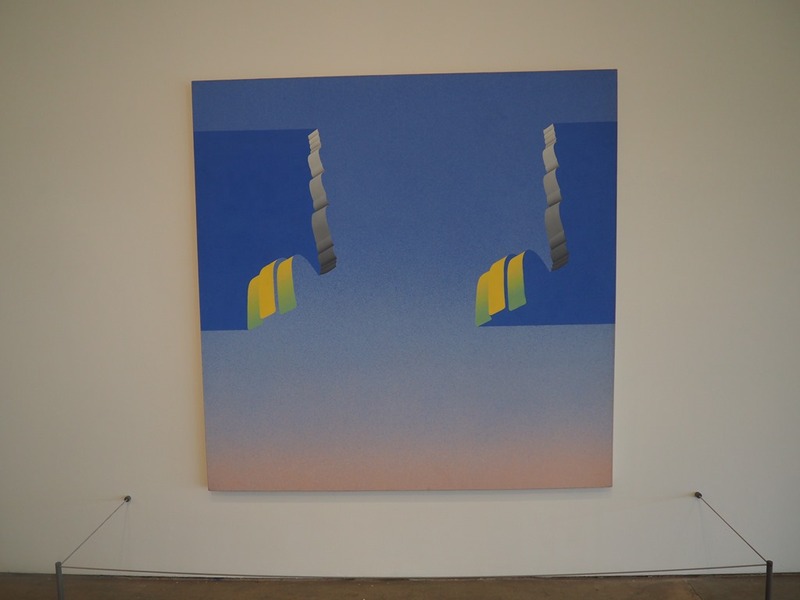 Looking at the photos it was clear that these structures, together with the horizontal patterns produced by the landscape and sky, influenced the style of Scully’s work. 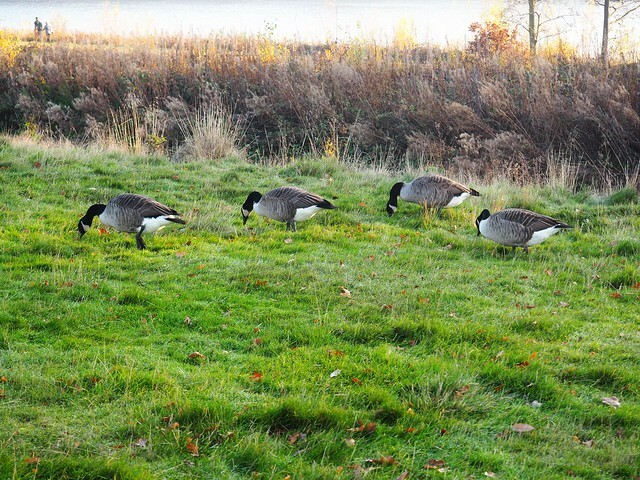 After spending a good hour looking around the gallery we set off back down the hill towards the other side of the park, taking the alternate route back through the fields. 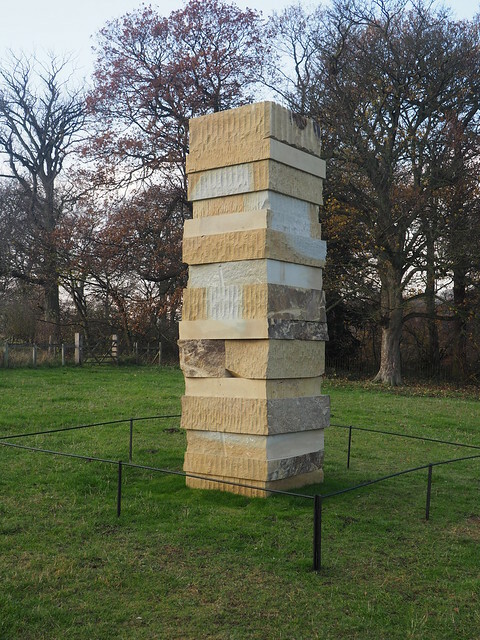 At the bottom of the slope, just before the bridge between the two lakes, we saw the third of the outdoor sculptures, Dale Stone Stack, which is constructed of local stone. Stonehenge-style prehistoric architecture or even an ancient Inca temple. 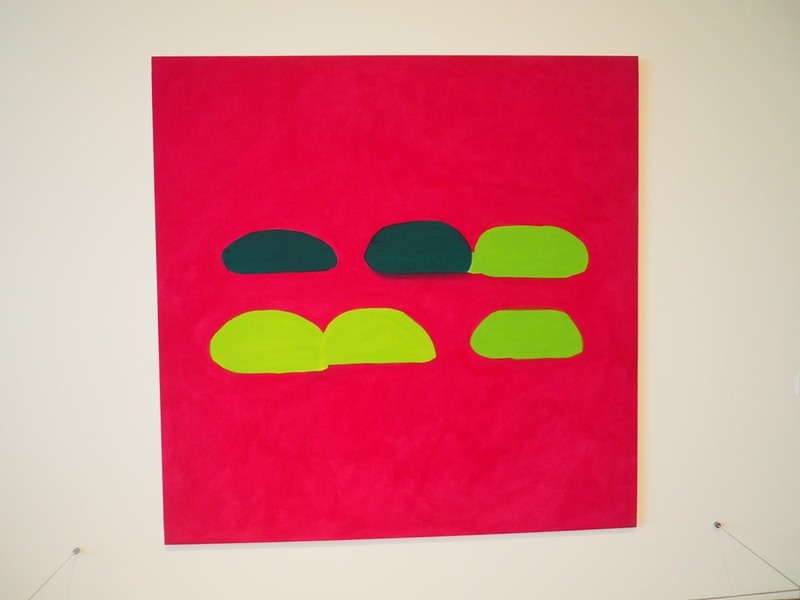 Like his paintings it’s made up of rectangular blocks in different orientations. Lit up by the autumn sunshine, there were different colours evident (although of a more limited range than his paintings) and variations in texture. There was plenty of interest and, like the other outdoor works, it’s appearance will change over time and also with the light. We’d seen the main exhibition in the Underground Gallery a couple of times now, so spent the rest of the afternoon walking around the grounds, looking at the outdoor sculptures, having a brew in the Visitor Centre cafe and also taking the opportunity to have a look at the exhibition of prints by Norman Ackroyd. Enough scope for another post, I think. 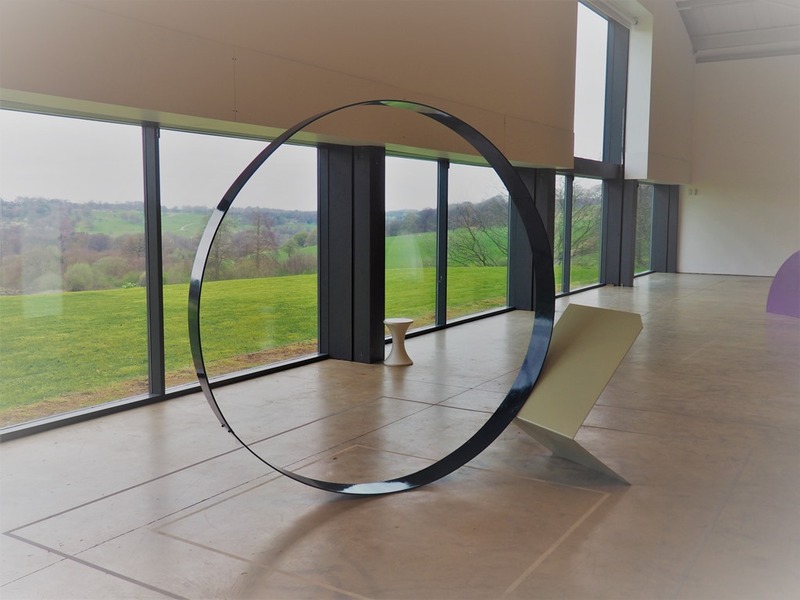 As well as the sculptures on show around the magnificent Country Park, the YSP has a number of really excellent indoor exhibition spaces. 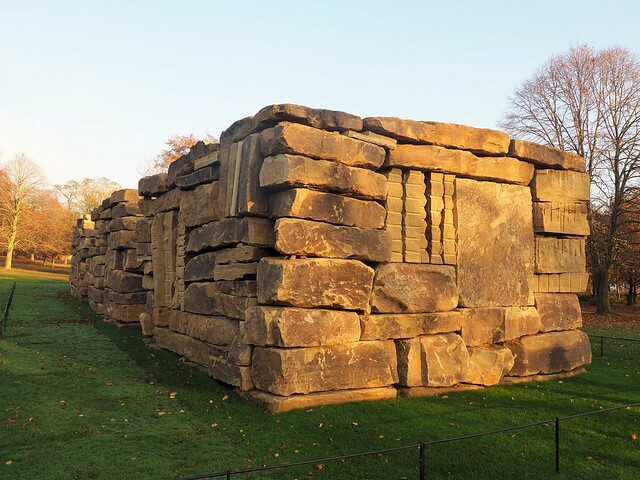 One of our favourites is the old Georgian Chapel building which is a really beautiful space and the YSP use it for some inspirational installations. The current exhibition features a work created by the Berlin based Japanese artist Chiharu Shiota. Many of her works are large scale webs of threads, often filling entire rooms, that frequently incorporate everyday objects such as keys, , dresses and shoes. . The main work in the Chapel is one of these. Beyond Time is a web of white thread almost filling much of the space from floor to ceiling, (2,000 balls of thread were used to construct it), and incorporating photocopied pages of sheet music from the YSP’s archives. “For purity. And death.” White is the colour of mourning in Japan, which seems appropriate, given the simple gravestones and marble memorial slabs embedded in the site. But it also represents renewal. 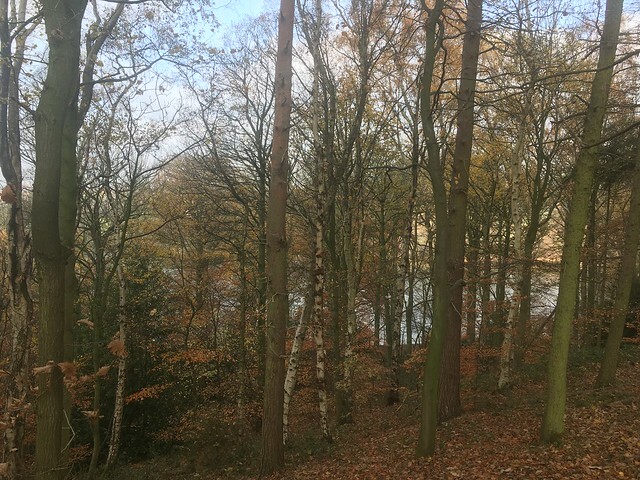 Last Sunday we decided to drive over to the Yorkshire Sculpture Park. 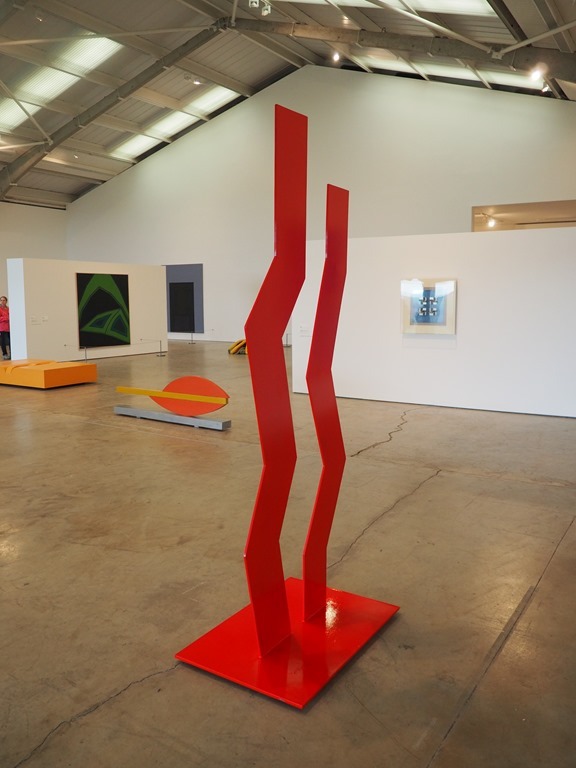 A new exhibition had opened the previous week that we wanted to see and it’s always nice to combine seeing good contemporary art with a walk through the Country park, especially on a sunny day. 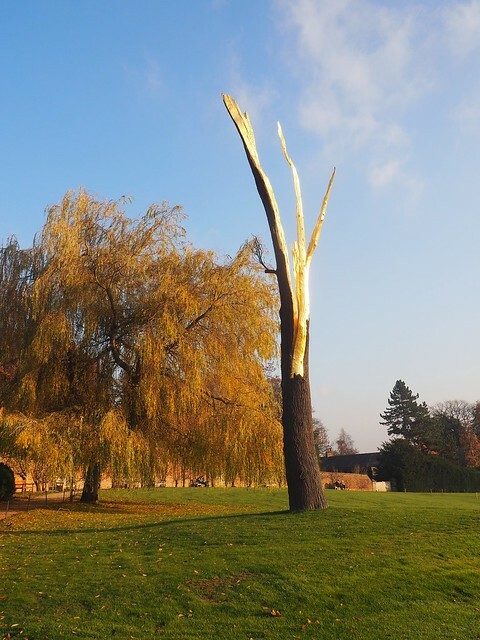 The new exhibition is devoted to the work of an Italian artist, Giuseppe Penone. I’d seen an exhibition of his work in the gardens of the Rijksmuseum in Amsterdam a couple of years ago so was familiar with his work. Rather like David Nash, much of his work is created from trees, often integrating with other natural materials like rocks and marble. Like Nash he also casts trees and wood and bark in bronze. 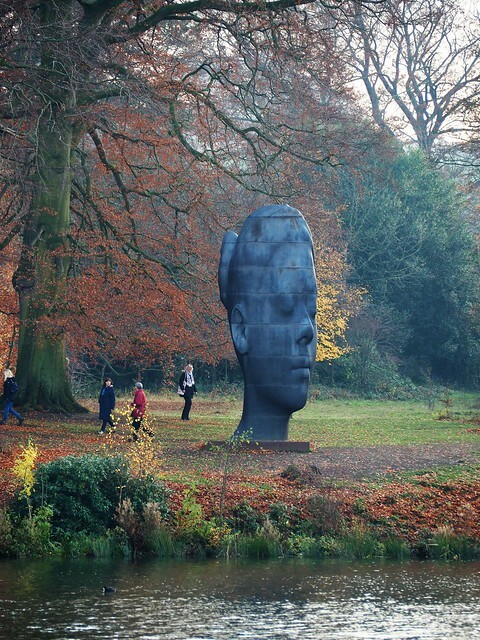 As usual with the major YSP exhibitions, works were displayed both outdoors around the park and gardens and inside the Underground Gallery. One of the first works we saw in the Underground Gallery was In the Wood (2008). Here the artist had taken a block of wood and cut into it, carving back to a single tree ring so it appears as if a young sapling is emerging from the block. 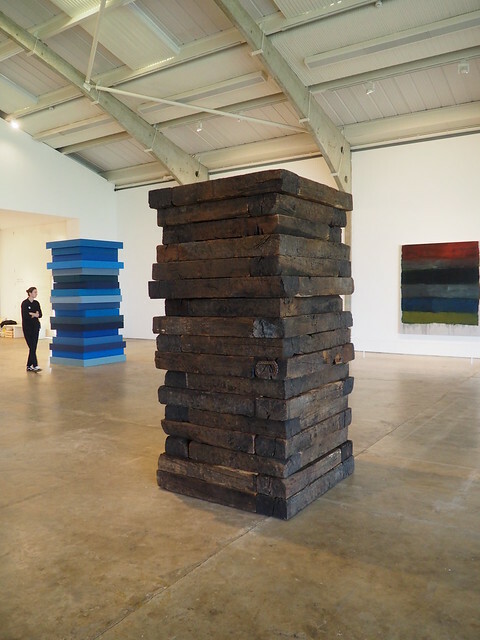 The centrepiece that straddled the three rooms in the Gallery, Matrix (2015)was a large pine tree split in half along it’s length and then with the middle carved out following a tree ring. The two halves facing each other. 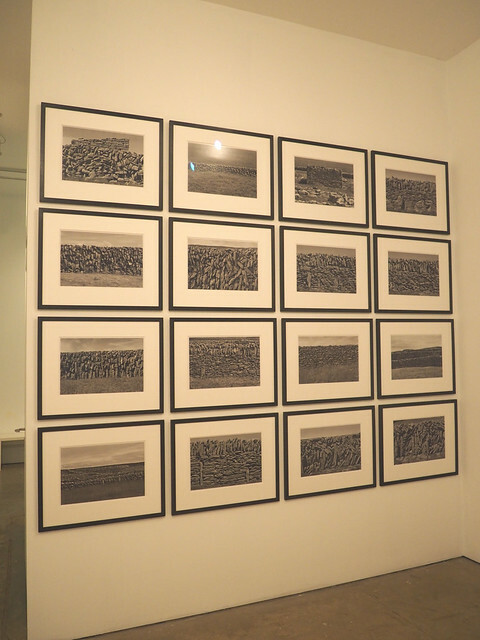 The works in the second room included With Eyes Closed (2009), a picture in which the artist’s eyes are rendered in thousands of acacia thorns. 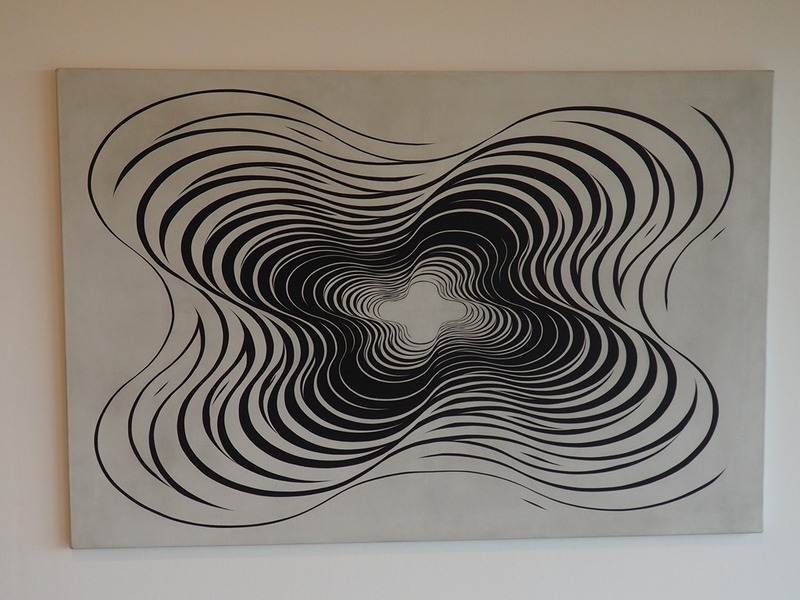 and Skin of Graphite (2012) where graphite has been used to reproduce the pattern on the surface of the artist’s skin. Inspired by a visit to a Yorkshire coal mine in 1989, the work was produced by taking an impression directly from his skin, projecting the pattern formed onto a larger canvas and tracing over it, so magnifying the pattern. 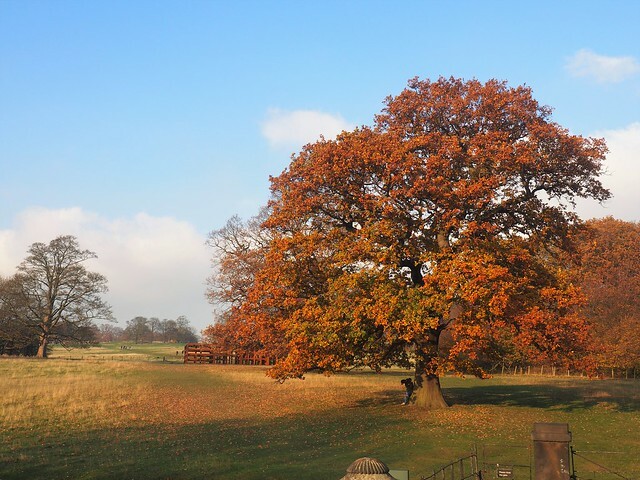 It all adds up to perhaps the best day out in British art. 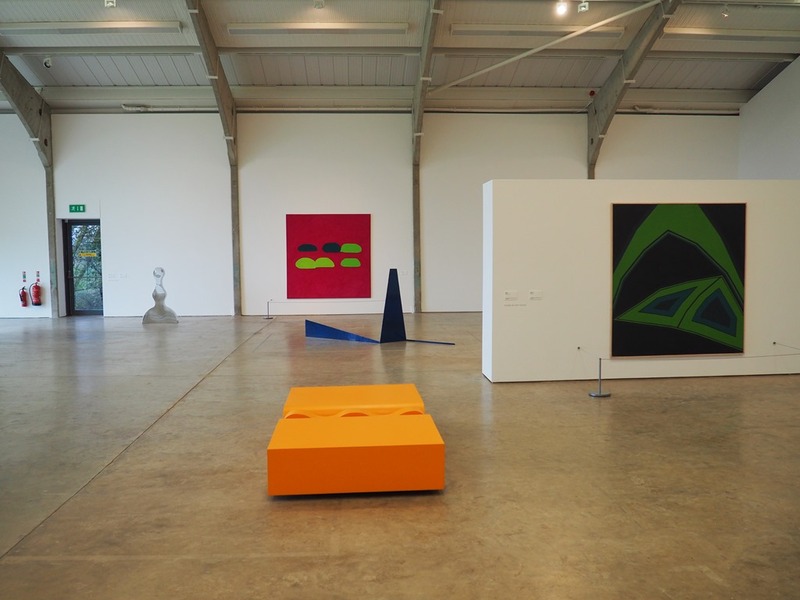 The latest main exhibition in the Underground Gallery at the YSP had opened on 14 October, the day before our visit last weekend. 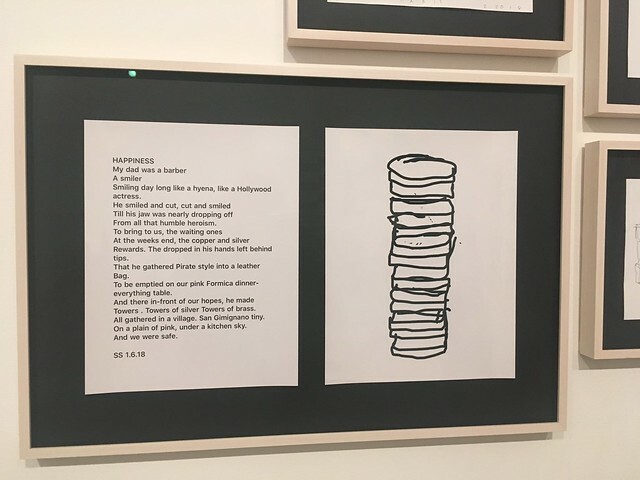 It’s devoted to the work of a Chilean artist, Alfredo Jaar – “a pioneering practitioner of socially critical art” (Claire Lilley in the Exhibition Guide). 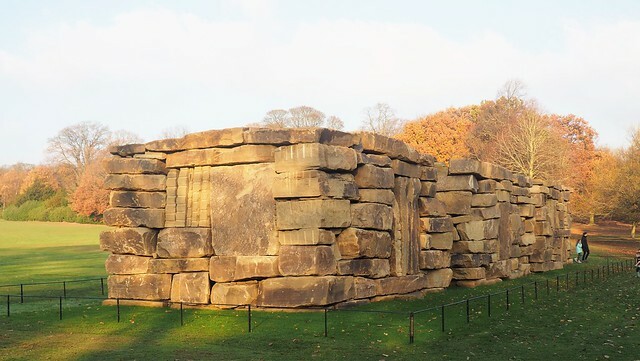 It’s a very different type of exhibition to those normally shown at the YSP as the works on display are not sculpture in the usual meaning of the word, but “installations”, film and photography. Unlike most of the major YSP exhibitions, there is only one of his installations outside the Underground Gallery (Tony Cragg’s sculptures sited outdoors from the previous exhibition are still there and will remain in place until March). 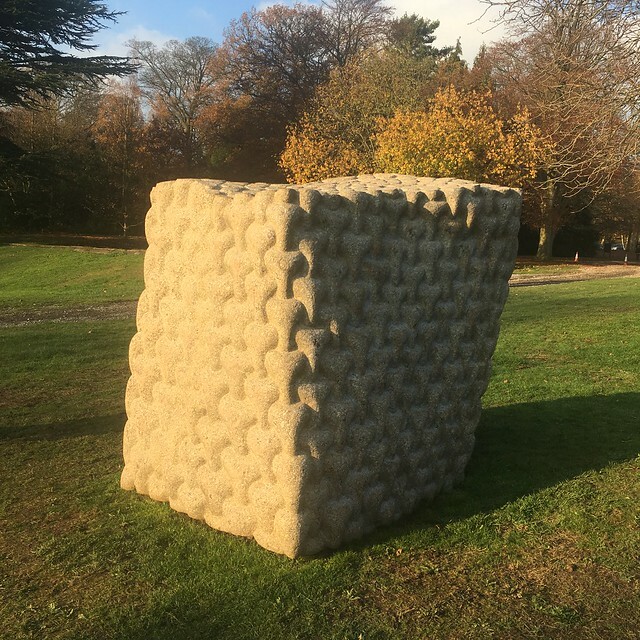 This is a new work which will become a permanent exhibit in the grounds once the exhibition is over – relocated elsewhere as they won’t leave it in it’s present location immediately in front of the gallery. This work – The Garden of Good and Evil (the exhibition is named after it) – takes the form of a grove of 101 trees sited in tubs along the length of the Underground Gallery open-air concourse. Inside this mini forest there’s a number of steel cells, of different sizes, which are meant to reference ‘black sites’, the secret detention facilities around the world operated by the United States Central Intelligence Agency (CIA). 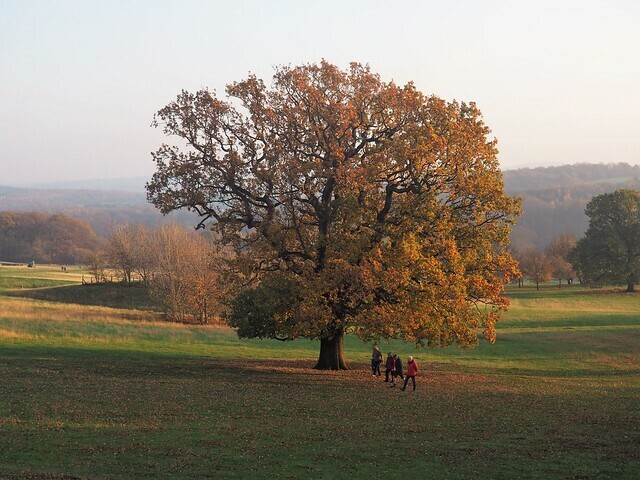 Visitors could wander through the trees discovering the individual cells – all different but all with a one-metre square base. The work was inspired by a poem, One Square Metre of Prison, by the Palestinian poet Mahmoud Darwish. Without being aware of this the work is perhaps an interesting curiosity, but knowing the inspiration it certainly made me consider and think about how people are imprisoned for their beliefs and hidden away from public view by governments, terrorist organisations etc. And with clandestine prisons, in practice illegal or only of borderline legality, themselves hidden from view by governments so that they can be ignored by the citizens – out of sight, out of mind. Inside the gallery there are three major installations and a small number of other works. 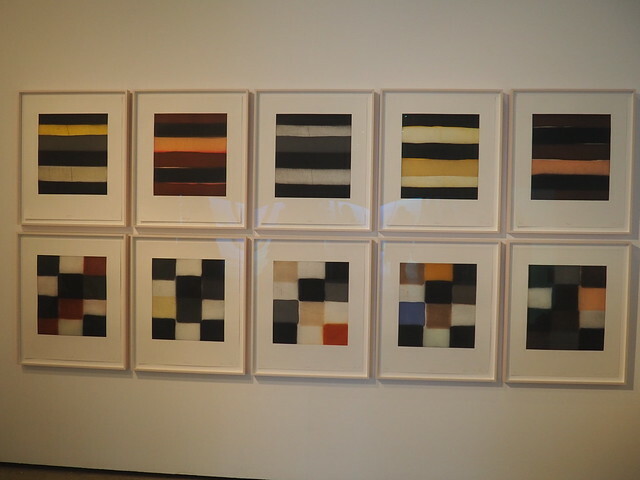 No photographs allowed, but the nature of most of the works meant that this was not that appropriate. The first of the major works is The Sound of Silence (2005). Visitors enter a steel cube and sitting in the dark watch a video work telling the story of a South African photographer, Kevin Carter, leading to his image of a young victim of the 1993 Sudanese famine. The photographer stood and observed a young starving child being watched by a vulture, waiting for the appropriate moment to snap his photograph. A shocking image resulted which drew global attention to the famine, leading to aid being sent to help the victim. But the image raised serious questions about the role of the photographer and raises serious ethical questions. He did nothing to help the individual but, on the other hand, the picture may have contributed to aid saving the lives of others. The suffering of one saving the lives of many others? This clearly troubled Carter himself and he later committed suicide. The third major work Shadows (2014) uses images taken by photographer Koen Wessing over a single day, early in the 1978 Nicaraguan Civil War, following a farmer’s murder. Entering a darkened room six of the images are displayed on the wall. Visitors then move through to a second darkened space where the seventh image is projected onto the entire back wall of the room, which shows two women grieving after the death of their father, shot by Somosa’s National Guardsman and left by the side of the road. The image alters as it is observed, the two grieving daughters being isolated from the picture and then altered and turned into a bright white silhouette. The room then goes completely dark and the image is retained on the retina, gradually fading away after several seconds. I’m not sure what the artist’s intention was, but I felt that it is easy to put aside the shocking images of suffering but here it wasn’t quite so easy to forget and perhaps that’s what we all need to do. Although I’m sure many visitors will grumble about the “unorthodox” nature of the exhibition – not “proper art” will no doubt be heard – this is the second video based exhibition we’ve seen in the underground Gallery. The other being the Bill Viola exhibition we saw at the beginning of last year. That was intended to be “a sensory experience with space to pause and make time to reflect and enable an emotional or even transformational experience”. However the current exhibition is quite a different experience. Unsettling and thought provoking in a different way and making political points about cruelty and suffering and the role of the artist. 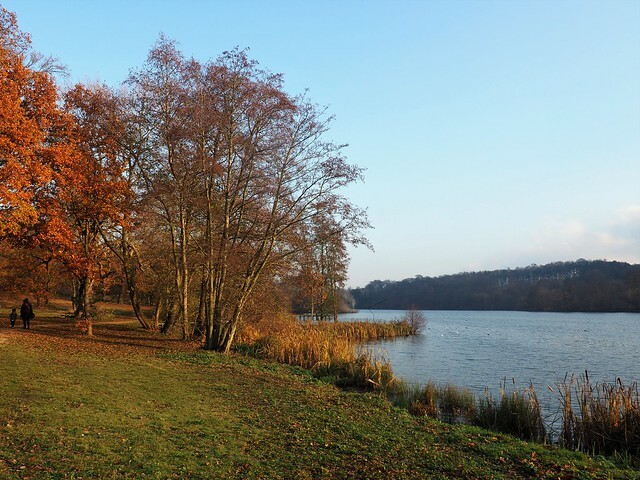 Sunday was forecast to be an unseasonably warm day in advance of the remains of Hurricanee Ophelia hitting us on Monday. We decided to make the most of it. I’d considered driving up to the Lakes but the forecast for there wasn’t so good so we decided to head over the M62 to the Yorkshire Sculpture Park where a new exhibition – Alfredo Jaar: The Garden of Good and Evil – had just opened in the Underground Gallery. Driving home late afternoon we learned that there had been an accident on the M6 near Kendal leading to both sides of the motorway being shut for several hours. Turned out to be a good decision then. It was a good decision in other ways too as it was a beautiful sunny day for a walk around the grounds where we saw some new works on display, plus we caught one exhibition that had just opened in the Underground Gallery and one that was due to close in a few days in the Longside Gallery. Both were very good. More about them in future posts. Here’s a few photos of some of the new works in the grounds. Wilsis is a fascinating exploration of perspective through the flattening of form, an idea that grew out of Plensa’s desire to understand what happens on the other side, on the reverse of things with which we are familiar, such as letters printed on a page, or a portrait head on a coin. From the front the head appears realistic, yet from the side it is an extremely flattened relief. 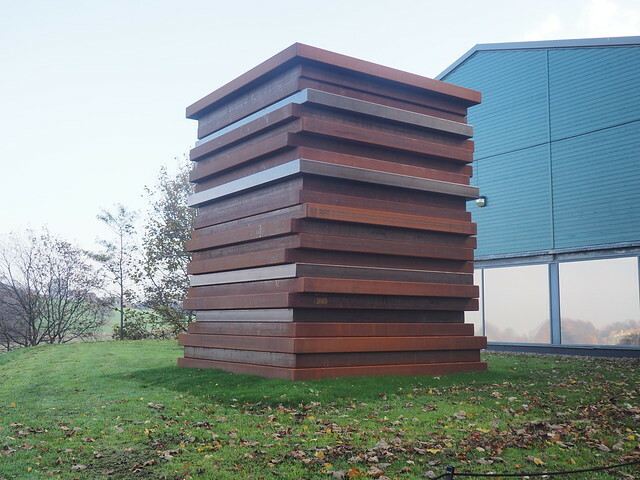 The sculpture is a collection of cubes stacked in a way so they look like a precariously balanced tower. 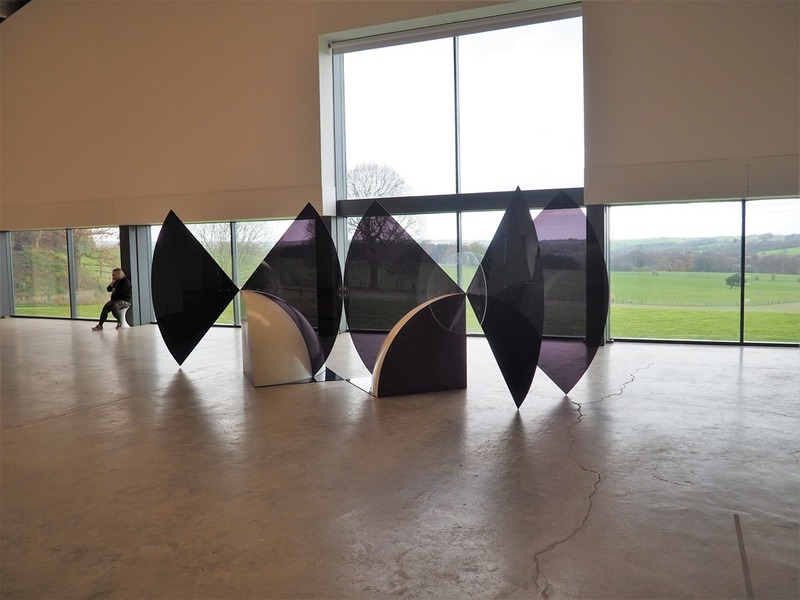 We walked up to the Longside Gallery to see the exhibition Occasional Geometries, curated by Bangladeshi-born artist Rana Begum with works selected largely from the Arts Council Collection. 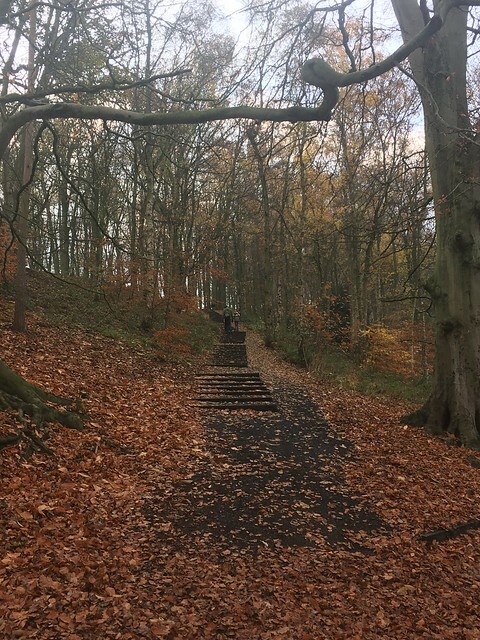 After we’d looked round we set off back down towards the Lower lake via the east side of the park, passing some favourite works by Andy Goldsworthy. Walking along the north shore of the lake we spotted this sculpture by the Swedish sculptor Jørgen Haugen Sørensen (well, he had to be Swedish with a name like that!). Then further on we passed Diario by Mikayel Ohanjanyan. A series of marble blocks bound by steel cables lying on a table. Looking closely we could see writing carved inside the fissures in the blocks – listing the names of all the people the artist has ever met. Close by was Six Mourners and the One Alone by Amar Kanwar. dead and the one alone, who gathers and memorises testimonies of the living. The figures are based on a small dark wood sculpture given to him as a child by his father, the filmmaker Horace Ové, in the 1970s. Ai reinterpreted the 12 bronze heads representing the traditional Chinese zodiac that once adorned the famed fountain-clock of the Yuanming Yuan, the imperial summer palace retreat in Beijing. Ransacked in 1860 during the Second Opium War by the British and French, only seven of the original heads have been returned to China – the rat, ox, tiger, rabbit, horse, monkey, and boar. The locations of the other five – dragon, snake, goat, rooster, and dog – are still unknown. Matthew Day Jackson’s Magnificent Desolation, created by , directly references one of Auguste Rodin’s most famous sculptures Les Burghers de Calais. According to history, King Edward III offered to spare the town if they sacrificed six of its most powerful leaders. Rodin chose to capture the heroic expressions of the six volunteers who were to be executed to save their people. Day Jackson has taken these figures of heroic self-sacrifice and, through using a computer generated 3D model of a map, has placed them on a moonscape as subtitute astronauts. Named after Buzz Aldren’s autobiography and first-hand account of landing on the moon, Magnificent Desolation is cast in bronze, a material often used for memorials, and combines the fated heroism of both Les Burghers de Calais and the risks of space travel. inspired by his knowledge of ancient cultures and their artefacts; revealing the sculptural potential of utilitarian and functional objects. 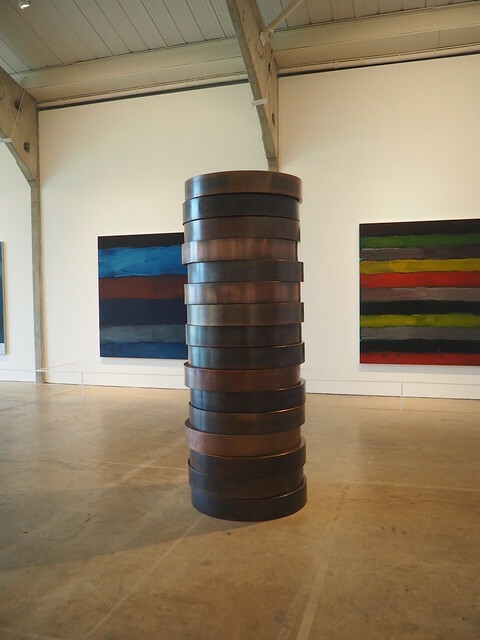 This was only a fraction of the art works we saw during our visit. 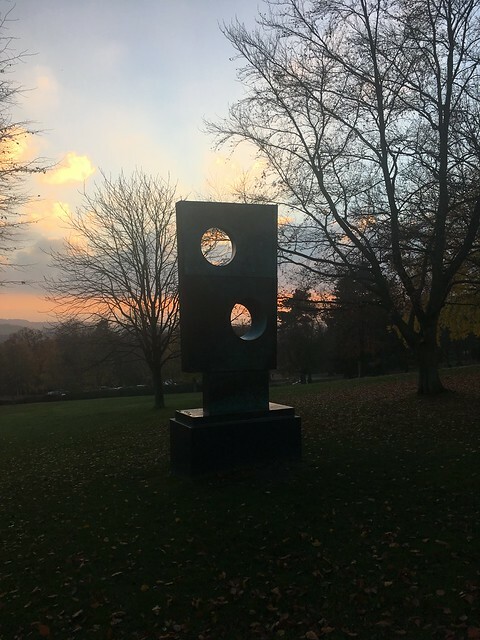 It’s always worth a visit to the YSP, a chance to look at first class art while taking a walk through a pleasant country park. Especially pleasurable on a war, sunny, autumn day. 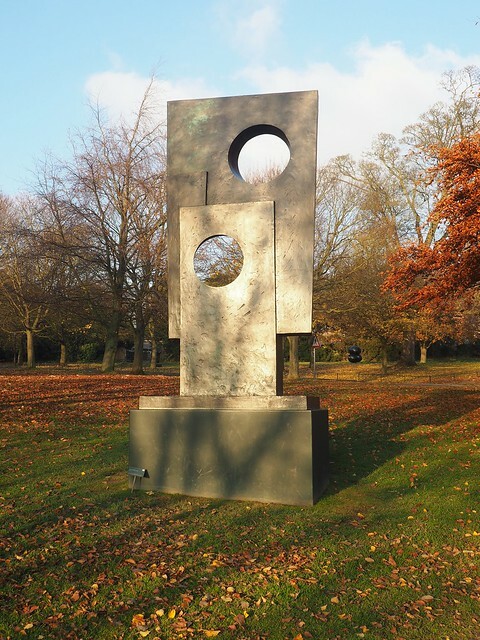 painting and sculpture from the Arts Council Collection, and augmented with major loans from important UK collections…. 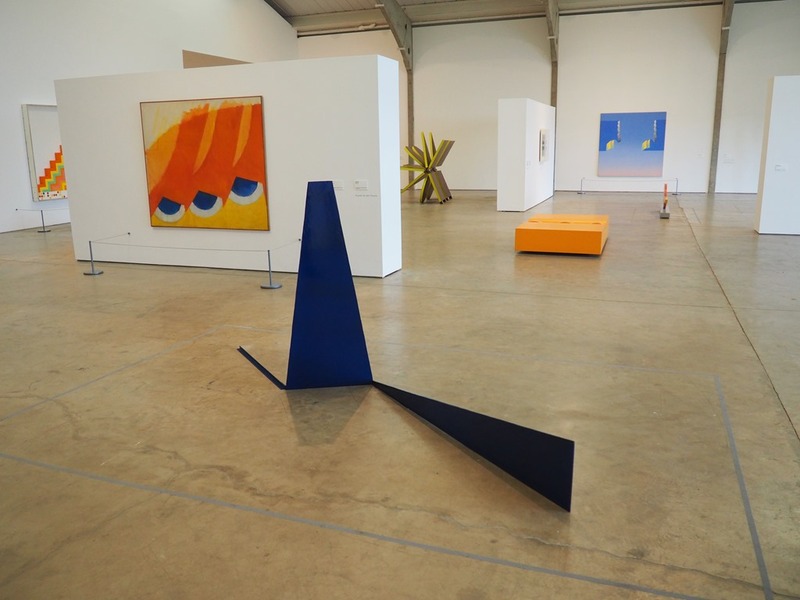 (which) …… examines the art of the 1960s through a fresh and surprising lens, one bringing into direct view the relationship between colour and form, rationality and irrationality, order and waywardness. 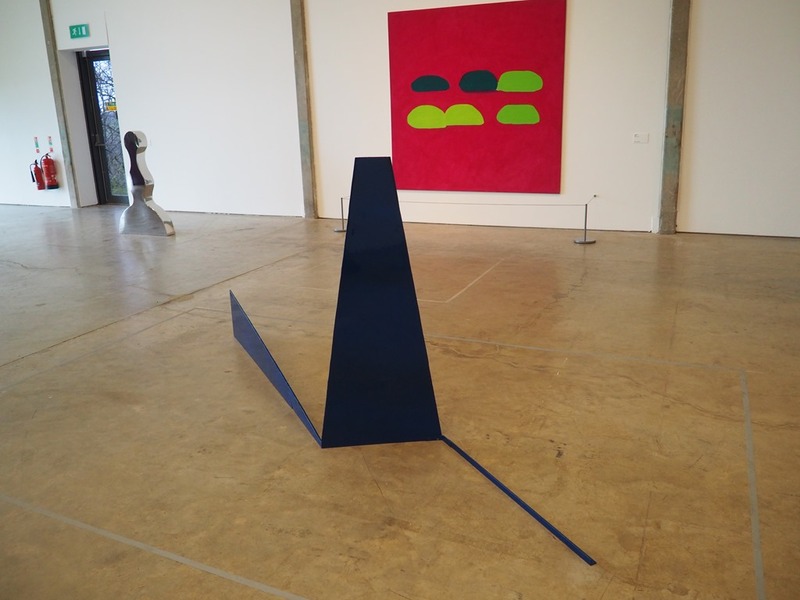 There’s a good selection of works by 20 British artists including Anthony Caro, Bridget Riley and William Turnbull. I was familiar with some of them but there were some discoveries (always good!). 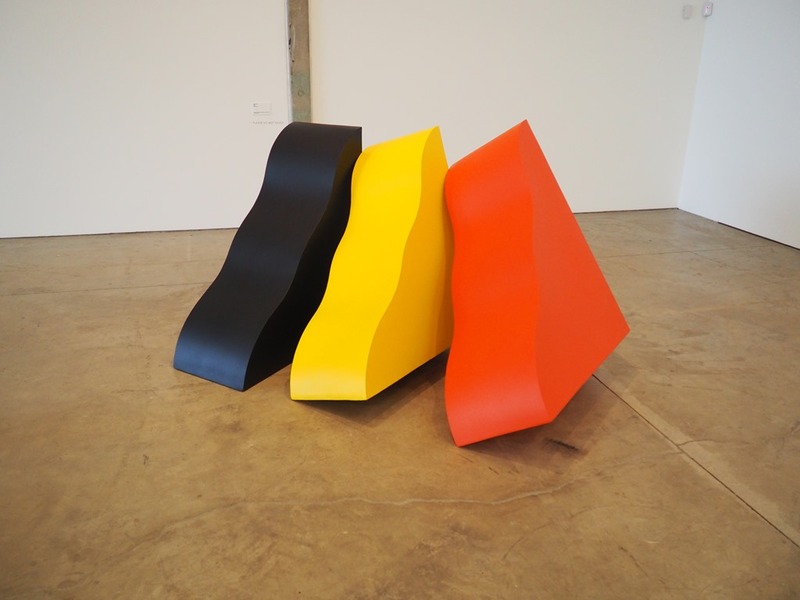 the sequential placement of brightly-coloured abstract units found in New Generation sculpture. 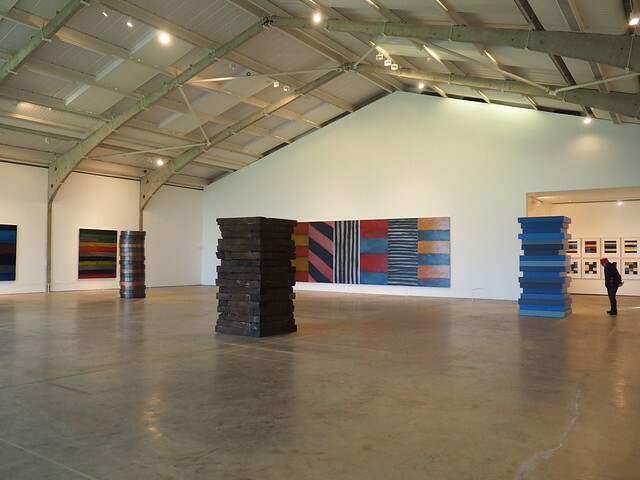 The Longside gallery is another good, airy exhibition space with large windows facing north letting in plenty of light. One of my favourites was Suspense (1966) by Peter Sedgely. This was one of a small number of works from the exhibition where photography wasn’t allowed. 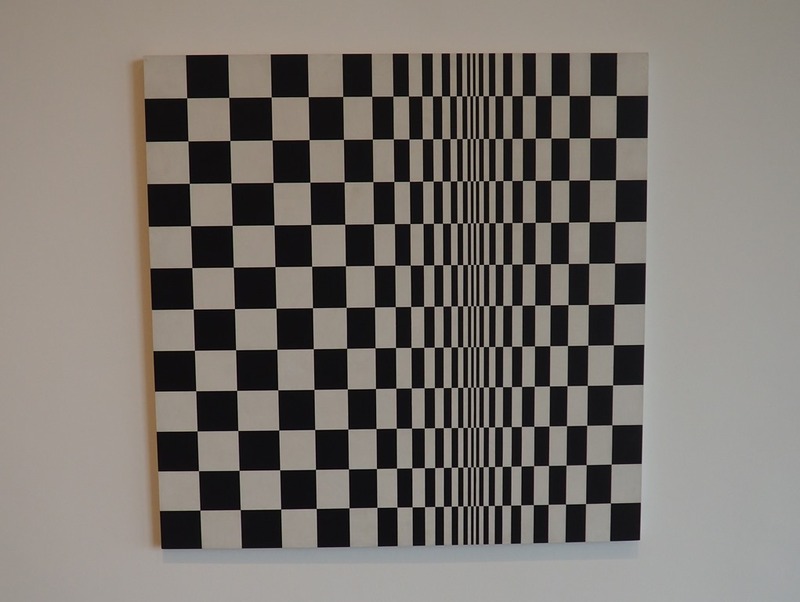 Another example of Op Art (like the paintings by Bridget Riley and Jeffery Steele, it was painted in such a way that it seemed that the image was out of focus – very clever! 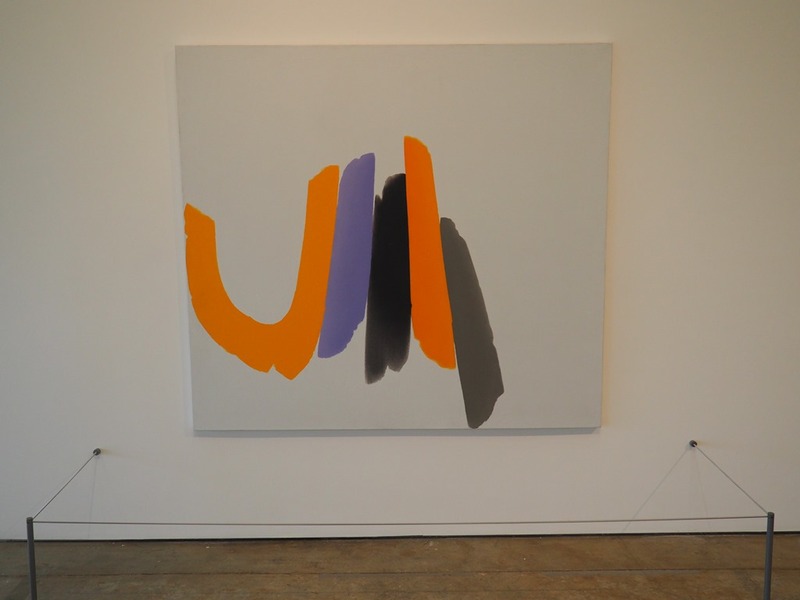 Another good exhibition – worth the walk up the hill! !